The American Society of Consulting Arborists (ASCA) is for arborists who consult or are seeking out a career in consulting. ASCA has developed the highest standards of performance in the field of arboricultural consulting and is the only professional or trade organization dedicated solely to the advancement of the arboricultural consulting industry and its members. 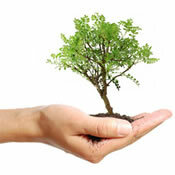 ASCA is the preeminent authority on the issues and practice of those who are Consulting Arborists. The ISA – International Society of Arboriculture is an educational organization that disseminates information about trees based on scientific research. It has a tree worker and arborist certification program and can help you locate a certified professional in your area. The ISA also offers numerous educational publications. The Western Chapter of the ISA is the branch that includes California, Arizona, Nevada, and Hawaii. The Tree Care Industry Association (TCIA) provides training and safety programs, among numerous other programs, that help tree care businesses with their everyday challenges. The UC Statewide IPM Program provides practical information for sound pest management techniques and identification for a broad range of California pests. Management suggestions apply to California, but they may be useful in other areas also. The Ventura Office of the University of California Agricultural and Natural Resources is a more localized version through the University of California Cooperative Extension. The ANR Catalog carries "must have" publications on all subjects relating to Agriculture and Natural Resources. Soil and Plant Laboratory serves the horticultural industry with soil analysis, recommendations and troubleshooting. Visit our Citrus Links page for a host of web sites, information to download and other resources. The Stihl Tour Des Trees is an annual fundraiser that raises money for the TREE Fund (Tree Research and Education Endowment Fund) through their annual 500-mile cycling event. I’ve ridden in six tours between 2000 and 2005 and included this link so you can hopefully follow me along in future tours.